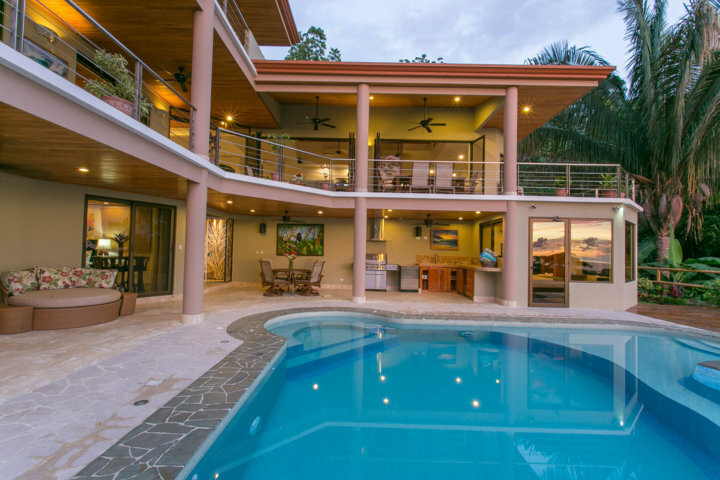 Villa Angel boasts over 6,000 sq. 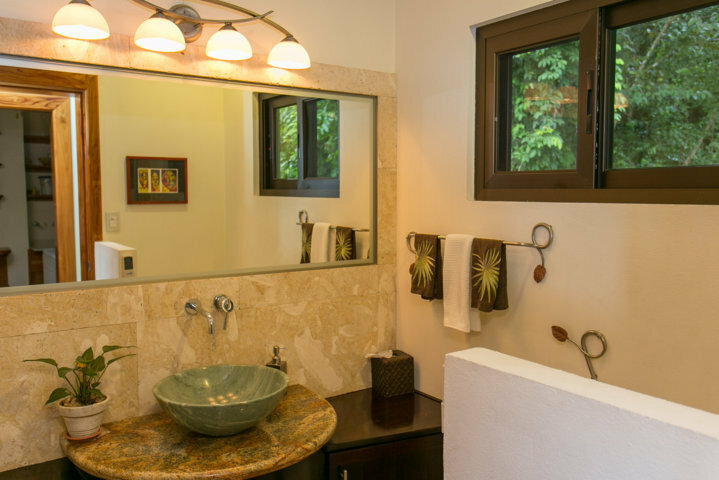 ft. of interior space and 3,000 sq. 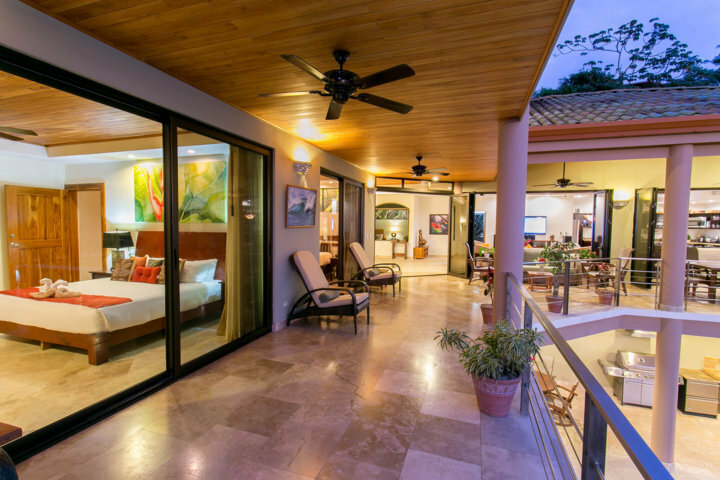 ft. of ample outdoor terraces, infinity-edge swimming pool and sun decks. 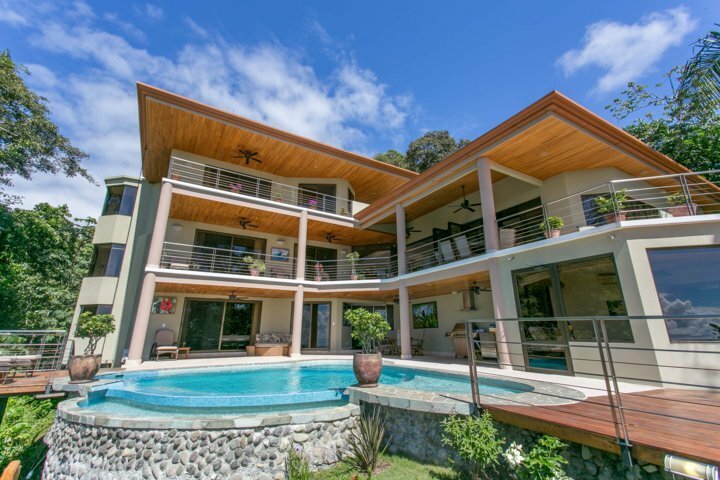 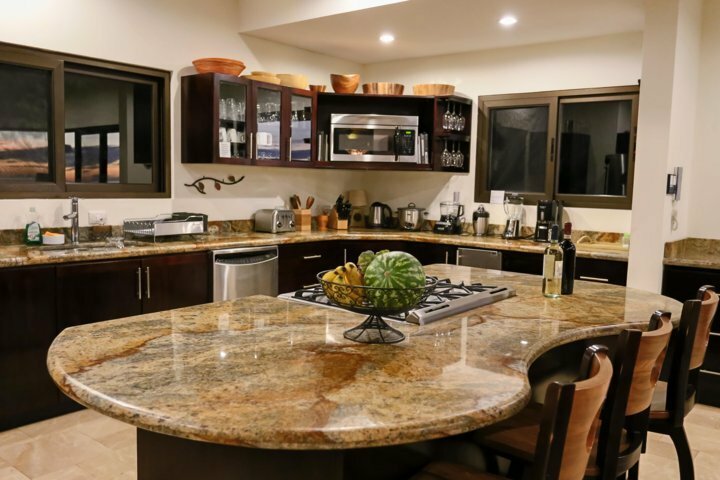 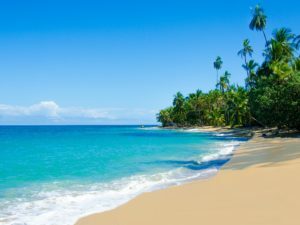 Situated in the heart of town, within walking distance to the area’s best restaurants, cafés, shops and sunset happy hour locations, this luxury villa sits on 2 acres of private estate and is surrounded by nature and spectacular jungle and ocean views. 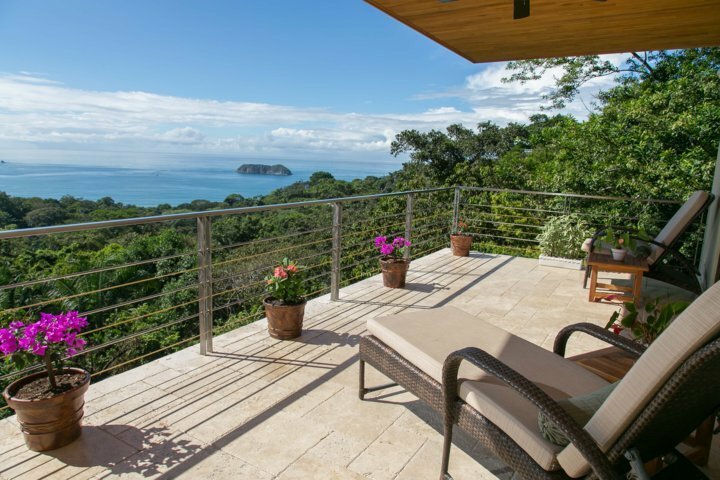 The home is strategically set on the estate to maximize privacy and views, so as you enter the long driveway from the gated entrance, you will slowly descend closer to the ocean and be engulfed by the abounding nature of the property. 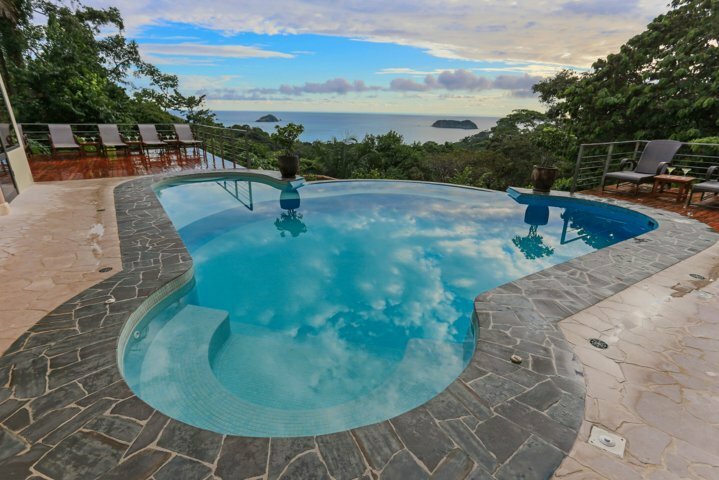 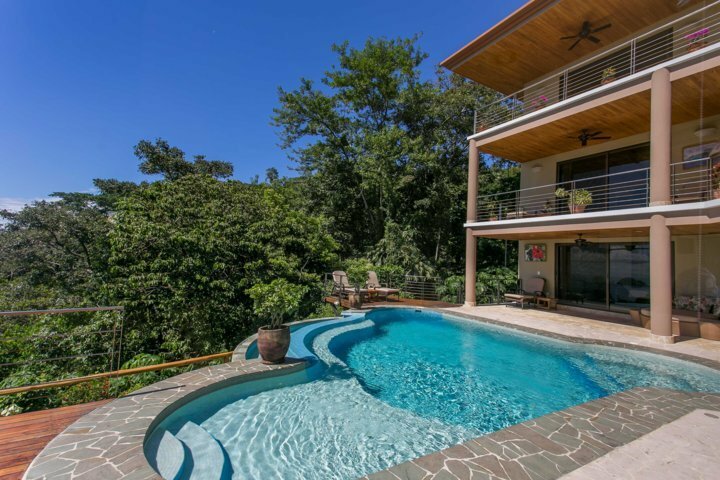 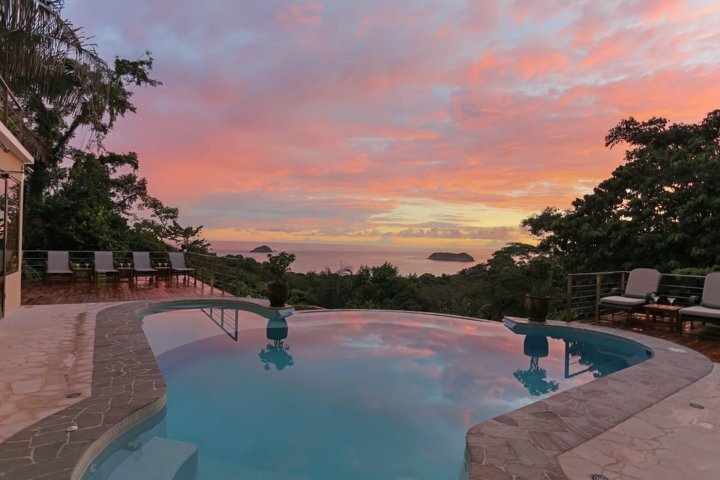 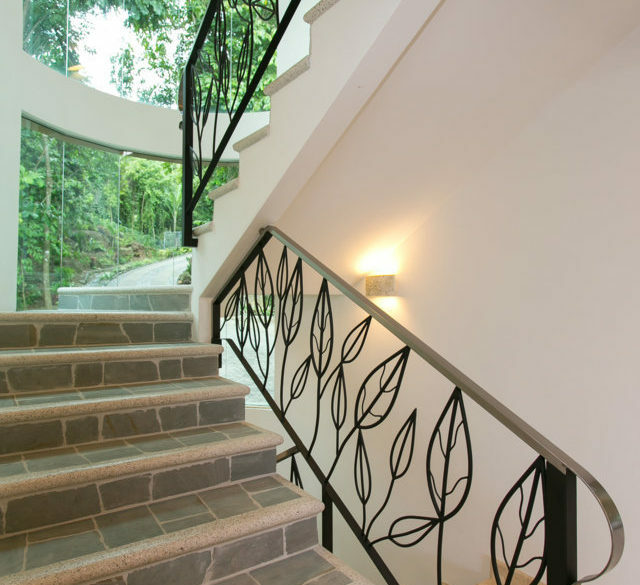 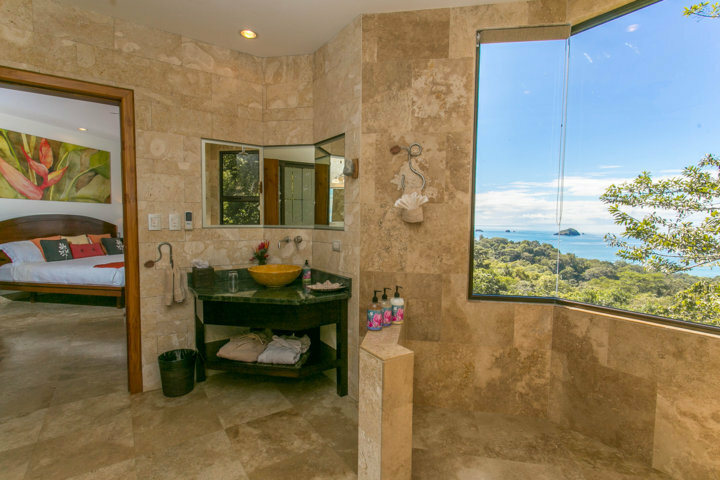 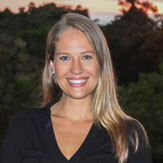 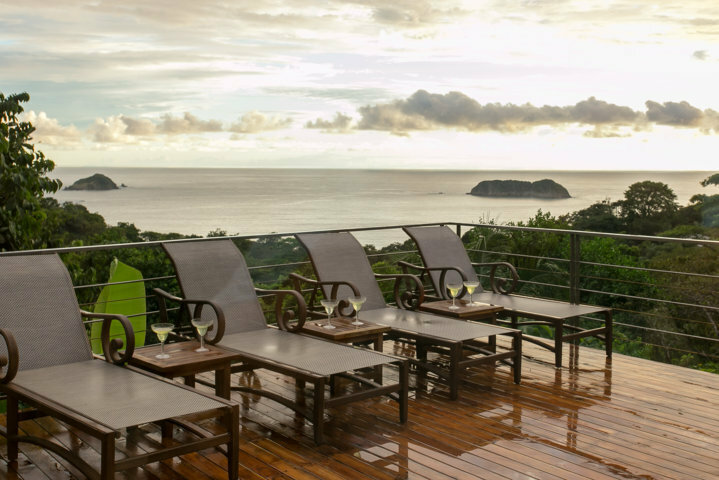 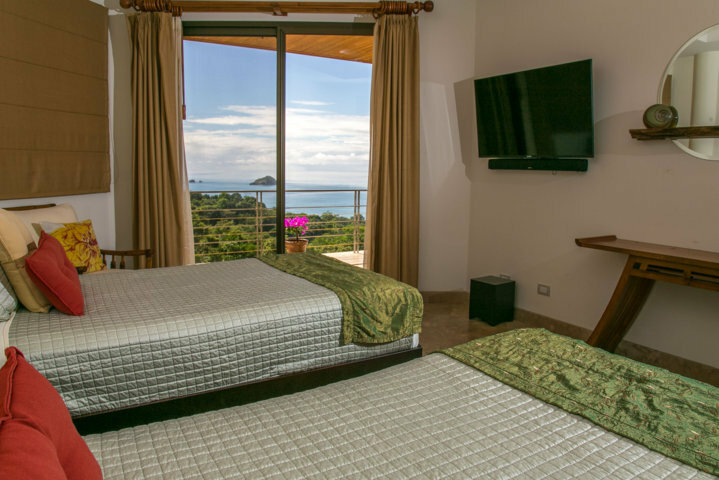 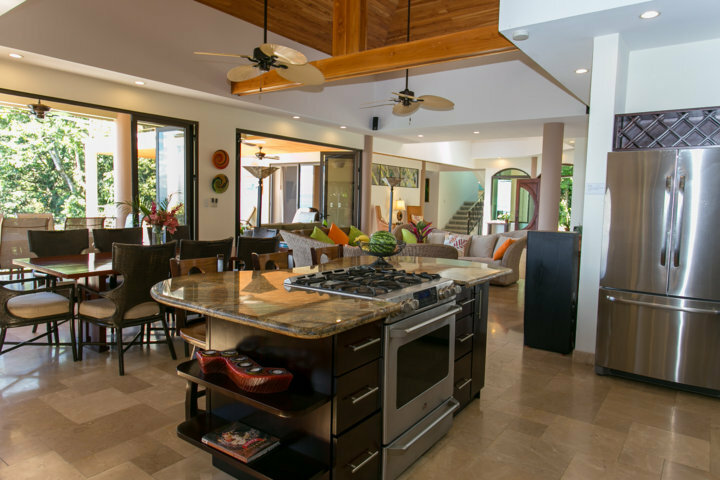 Such spacious privacy is rare and here you will be just a 15-minute walk to Manuel Antonio National Park and beaches. 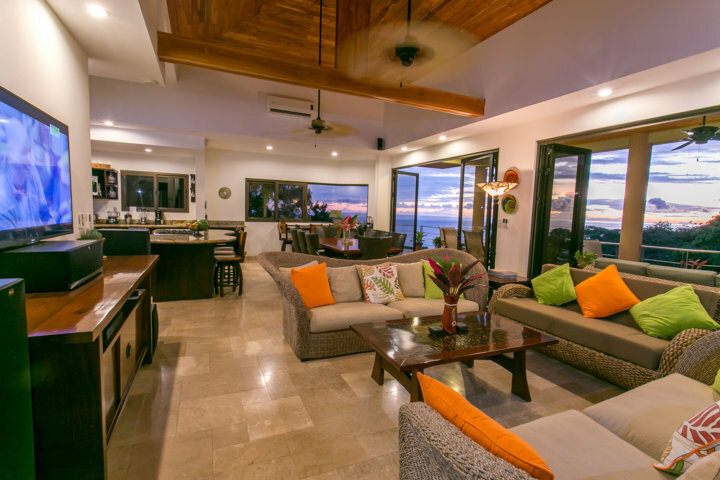 Villa Angel’s tri-level living quarters all face the ocean-side of the property. 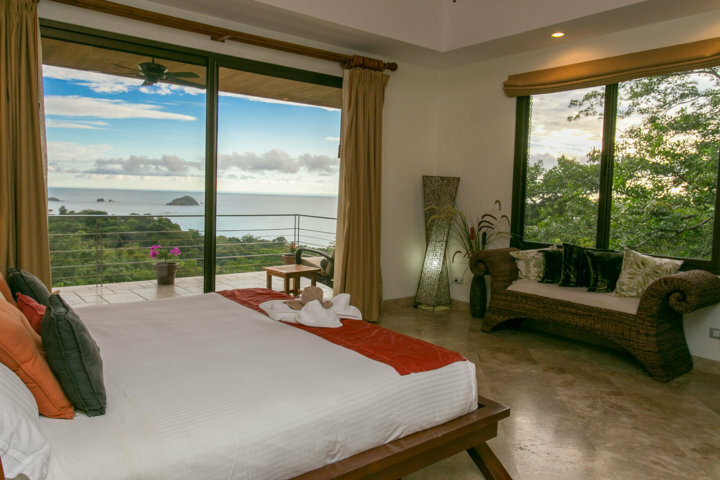 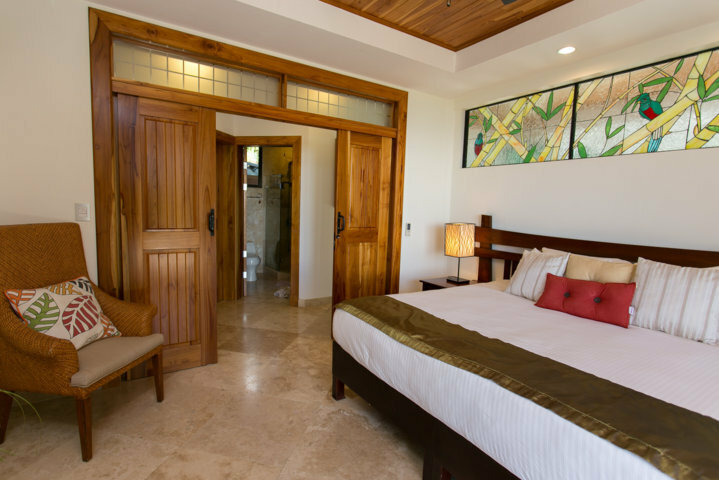 As you enter, to the right are 3 stories of bedrooms, each with their own unique ocean and rainforest views, terrace areas, full baths, and walk-in closets. 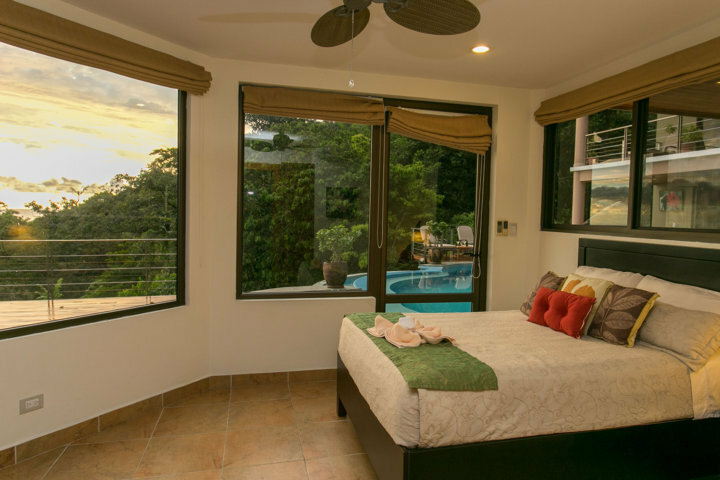 This section includes three king bed suites, two bedrooms with twins that convert to kings, and a guest room with a double bed and optional day bed. 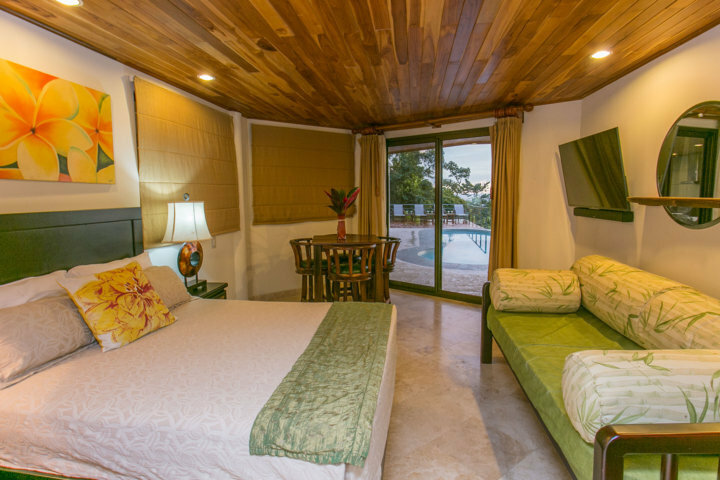 There is also the solitary double bed in the poolside bedroom.